Over the past few years, there has been significant growth in the number of Chinese students living and studying abroad, and this is expected to increase in the next five years. Yu Minhong, founder and CEO of the New Oriental Education and Technology Group, estimates that the number of Chinese students studying abroad is approximately 800,000 per annum. 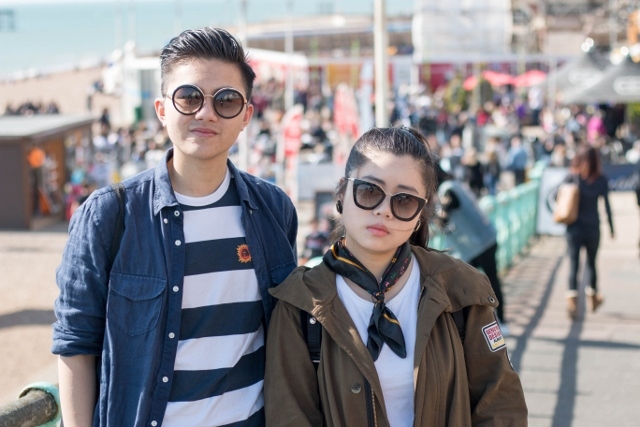 One of the most popular destinations for Chinese students to study is Europe and the UK – the latter being the second most popular host country for international students from the Asia-Pacific region, after the U.S. In this article, we look at some of the reasons why Chinese families choose to send their children to Europe to study. Any international student that plans on moving to Europe to study is taking a step in the right direction. While studying in Europe, students will gain transferrable skills and knowledge that are valuable to future employers, receive world-class education from the oldest and most prestigious universities in the world, and experience attractive and exciting student cities. For Chinese students, moving abroad to study is a very exciting time in their lives and, of course, they want to make the most of their time. While you may think London is the top destination for Chinese students, North West England is actually the leader in recruiting Chinese students to their universities, with the top universities in that area being Manchester and Liverpool with approximately 7,000 Chinese students. China has the largest number of international students in Europe compared with any other country. Most universities in Europe have societies – groups of like-minded people who share common interests, whether it be religion, country of origin, art and culture, science, etc. Societies allow students to meet new people, learn new skills, and most importantly have fun. Most universities have a Chinese or Asian society that students can join at the beginning of their first year. Here, they meet new friends and travel around Europe together. Chinese students are usually comfortable with other Chinese students, therefore you would usually see them travelling together in groups. Once or twice a year, we plan a student VIP trip where we contact the Presidents of Chinese Societies from different universities, asking them if they’d like to embark on a trip highlighting different attractions, hotels, and restaurants in Europe. This is a great marketing initiative, since Chinese Student Societies have their own social media groups and platforms where information is seen and shared. 1. Visa requirements – Chinese students are required to apply for a student visa/ temporary residency in Europe in order to be registered as a student. 2. English language requirement – In order to be granted a student visa, it is required of the student to pass an English test. 3. Cultural difference – this can be both a positive and negative aspect of your studying experience, but for some, adapting to a new culture and its people, food, and lifestyle, can be rewarding and eye-opening. Though it might be challenging to be away from family and friends for so long, Chinese students should really immerse themselves in the experience of being away from home. Taking advantage of the networking opportunities that are offered is key. Universities often promote many different networking opportunities, such as work placements, volunteer work, and even roles in clubs and societies. For instance, Sara, our Travel Trade Manager, was on a work placement with us – a requirement from her university at the time. Sara did an exceptional job in her role, and kept in contact with us. Upon the completion of her studies, we just so happened to need a Travel Trade Manager at our Beijing office, and Sara was the perfect person for the role, especially since she was already familiar with the company and the work required. There is still an element of uncertainty with whether studying abroad will benefit one’s career, and if the experience of studying abroad will boost their employability rate. However, we would say the experience is overwhelmingly positive. Research was conducted on the link between employability and international students, showing that almost 60% of students find full-time jobs after studying abroad. Similarly, recent research was done by Ka Ho Mok and Han Xio on Chinese students’ experience in Europe and their chances of employability after studying. The study showed that Chinese students’ employability rate is good, with nearly 59% being able to find a job within three months, and 32% had secured jobs within 6 months of their studies. 1. The Chinese student market is quite large. More Chinese students study abroad than any other country, and Europe is one of the top destinations for these students. 2. Chinese students are already in Europe – this is much easier than attracting Chinese students from China. Take advantage of the fact that they are already here and ready to travel and spend. 4. If they are already spending a lot, imagine when their parents come to visit! Parents and grandparents usually visit their children while they are studying abroad, and they won’t be able to resist not having the best of times while they are there. 5. They are ready to travel Europe for new experiences. Europe is relatively small compared to China, and it is far from home, so they plan on making the best of their time here. 6. Chinese students are social media friendly, regularly sharing their experiences with others. Their main social media platforms are WeChat and Weibo (check out our previous blog on these).